2017 Winner of the International Gourmand Food and Wine Book Awards for Best French Wine Book. Third impression of Champagne – A Tasting Journey printed in Champagne. 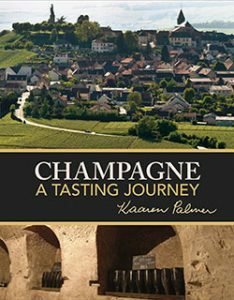 2016 Published Champagne – A Tasting Journey, 448 pages, deluxe 4-part soft cover, 44 chapters encompassing history, production, terroir, style, the structure of the industry and the people. With original maps, illustrations, photos, diagrams and flow charts. Guided tastings with each chapter build knowledge with enjoyment. Suitable for beginners as well as the more experienced. After selling out at the launch in Reims, the work was reprinted a second time. 2014 Lived in Reims, Champagne. Founder, then C.E.O., finally Executive Chairman of the Board of Specialist Computer Supplies Pty. Ltd. (later Officematrix Pty Ltd)., the second largest Australian owned computer supplies and stationery company, with offices and warehouses in Sydney, Melbourne, Brisbane, and Adelaide, and a sales office in Canberra. Quality Assured to ISO 9002 1994. Over 100 staff. Sales >$30m per annum. Number 85 in Business Review Weekly’s list of Fastest Growing Companies in Australia in 1997, number 44 in 1998, number 32 in 1999. Corporate sale of business to multi-national Corporate Express (Staples) in 2006. Holding company wound up in 2008. Founding director of Krypton Discs, retailer of new and second-hand music CDs DVDs and music paraphernalia at Glenelg, South Australia. Permanent Staff 5, Casual Staff: approximately 20. Sales per annum $2 million. A second Krypton store opened in the Mitcham Shopping Centre, South Australia, in November 1999.
Business successfully sold via management buy-out. Non-executive director Leisureco Australia (management of swimming education and leisure centres Australia wide). Resignation due to impending retirement. Founding non-executive director Leisureco New Zealand (management of recreation centres and swimming pools in New Zealand). Resignation after completion of start-up project. Donor: The Red Cross, Unicef, the Royal Adelaide Hospital, State Theatre Company of South Australia, Adelaide Symphony Orchestra, Smith Family Edu-Cate, Stirling Library, State Library, St. Vincent de Paul, Co-Opera. Private endangered species sanctuary, Adelaide Hills. Interests: Champagne, Cuisine, Dining, Fine Wines, Entertaining, Travel, Reading, Opera and Classical Music, Walking, Live Theatre, Cinema.